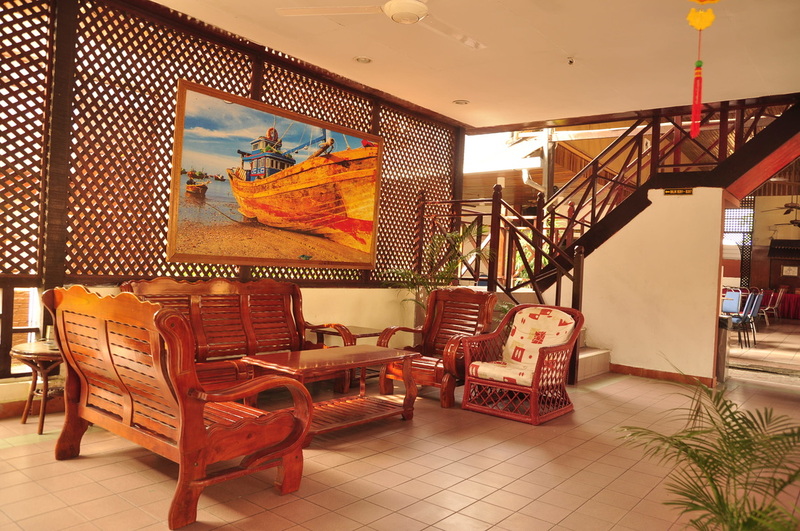 There are 8 hotels in Pulau Pangkor Island, Perak. Choose the one that is right for you. An exotic island retreat where swaying palms rustle softly in tune with the sea breeze as waves lap gently against the white sandy beaches in the Pangkor Resort. Here a multitude of activities awaits the adventurous while those who prefers the peace and solitude will find PUTERI BAYU BEACH RESORT the ideal gateway. 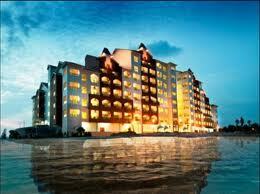 Our new 3-star beachfront resort lies in Pasir Bogak, just minutes away from the jetty. Here, you’ll discover an enchantment: a resort that is nestled amidst a golden beach, sparkling waters and captivating serenity that is simply beckoning. 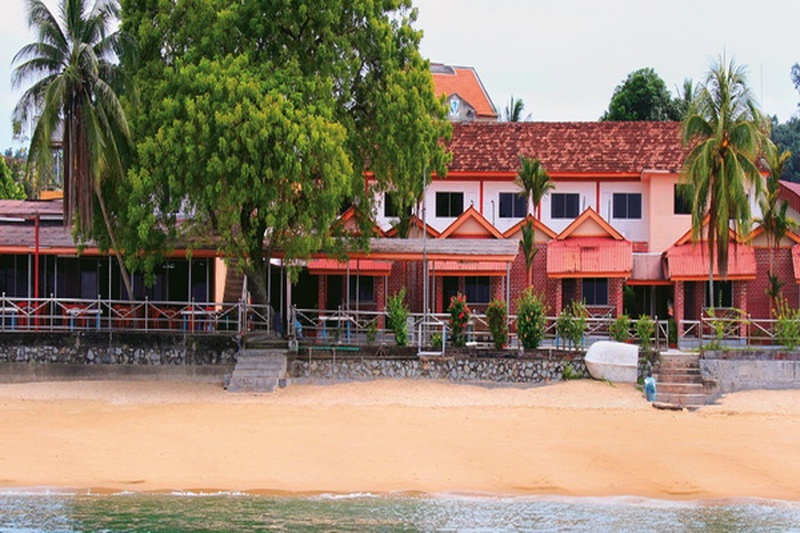 Pangkor Sandy Beach Resort at Pasir Bogak promises a deeply relaxing holiday under the lure of the irresistible sun, sea and sand. 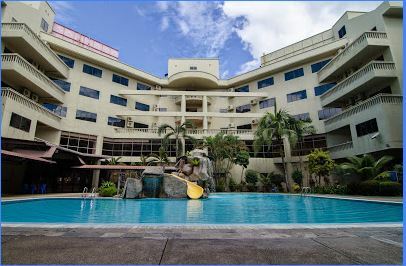 It's a true gem and this is the place you want to be. Pangkor means beautiful. Just 3 hours drive or 35 minutes flight from Kuala Lumpur and 30 minutes ferry ride from Lumut and you’ll arrive to this isle of beauty. 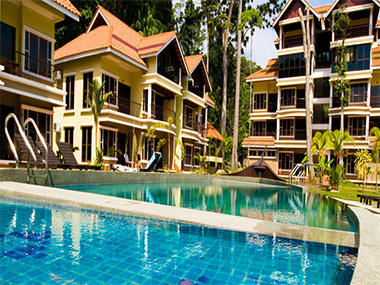 Our resort comes complete with various amenities and facilities so your holiday will be memorable yet comfortable. 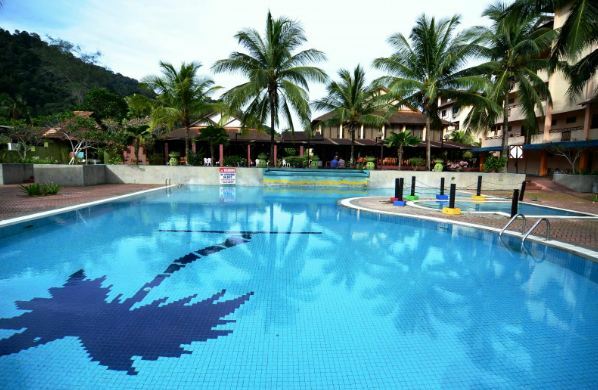 Be it for family fun, quick getaways, romantic interlude or solitary bliss, Pangkor Sandy Beach Resort is the right choice for you. 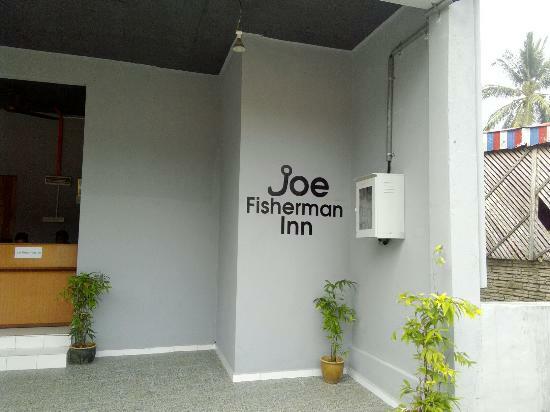 Joe Fisherman Inn is a new (★★★ equivalent) resort located at Teluk Nipah (Nipah Bay), just 10 minutes drive from the Pangkor main jetty. Our 32 fully featured rooms offer a combination of luxury, comfort and exotic uniqueness to our guests. These are wooden panelled rooms built in a concrete main structure, a revolutionary concept if you may call it, to give you a special feeling of living in a natural traditional ambiance within modern facility, to suit our theme of boutique accommodation. We are “organic” hotel, as we don’t use chemical based finishing. Joe Fisherman Inn promises a fun and relaxing holiday, just the way you want it to be experienced and remembered. Pangkor Island is famous for its beautiful beaches the most popular among them is the Nipah Bay where you can find us. It is 3 hours drive from Kuala Lumpur to Lumut where you will embark on a 40 minutes ferry ride to the Island.